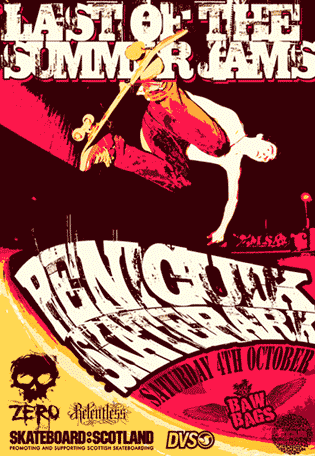 Skateboard Scotland presents Last of the Summer Jams at Penicuik Skatepark on Saturday 4th October. Sponsored by Zero, Relentless, DVS, Bawbags and Focus. Come along and get ripping!